Ink black is such a happy color! 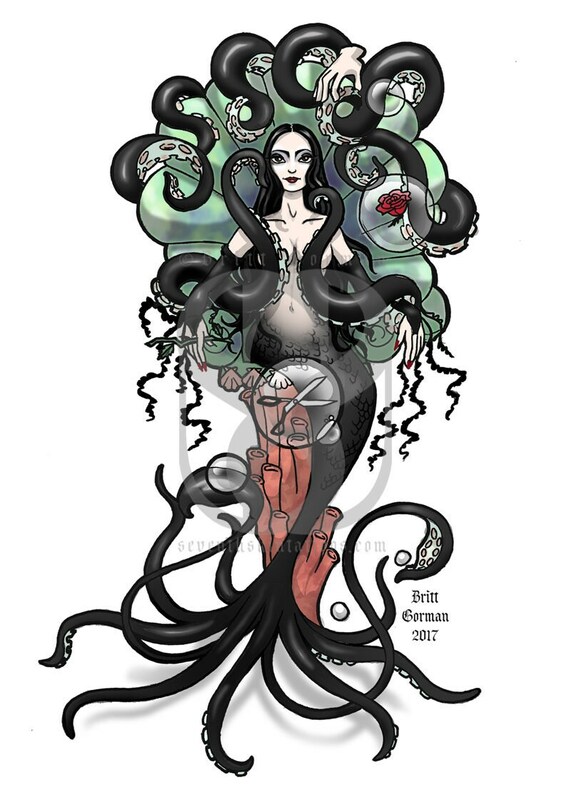 Morticia as a squid/mermaid. Complete with Octopus sidekick, and Thing being his regular self. Now she and Wednesday can swim together! All prints are signed by Britt. Print dimensions are 5x7" and 8x10." They are printed on quality lustre photo paper. They are shipped protected by cardboard in a bubble mailer. After purchase, these prints may ABSOLUTELY be taken to a tattoo artist if you would like to have a design inked permanently. (I consider it a highest form of compliment.) I only ask that you send me photos of the finished piece so I may brag about it everywhere. Do not leave the image with the artist to tattoo on other clients, please. These prints are for personal use only. 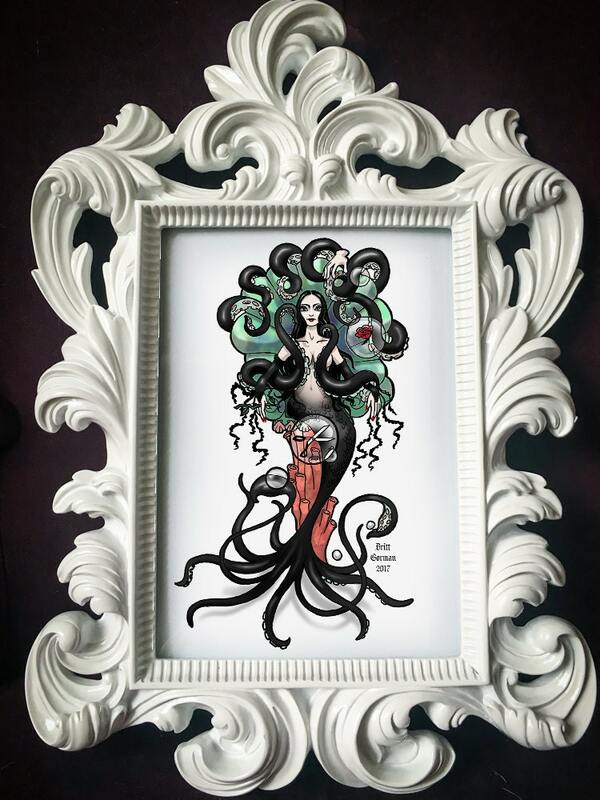 All print artwork was drawn by Britt Gorman and is not to be copied, sold, or distributed. Prints take 3 business days to prepare before shipping.